‘You can’t go there and not have a Singapore Sling!’ is something I heard countless times leading up to my trip to the Lion City recently, just like I was told that I can’t go there and not visit Sentosa or Gardens by the Bay or Clarke Quay or Orchard Street. The thing is, I had been there, done that. This time, I was hoping that the seemingly-sterile metropolis would show me some of the eccentricity and grit that I just knew it had to have. My gut feeling was right. As a compact and extremely urban city state, people have a predetermined idea of what Singapore is and what it should be. Here, the trains run on time, every nook and cranny is spotless, buildings glisten to the point of blinding, crime rates are insignificant and airport formalities take up as much time as picking up a drive-thru meal. It’s an exceptionally convenient place to holiday, even during a seven-hour stopover. The tourist infrastructure, however, is commercially-driven, and visitors are herded to malls, adventure parks, casinos and other places where they can lighten their pockets. What really interested me was what lay behind all those lustrous towers, and I found it primarily around the Rochor Canal. A historic waterway that divides two significant settlements — Kampong Glam and Little India — it was a water source for several industries and a channel for goods transportation in early Singapore. The surrounding area comprises some of the country’s most historic buildings which have been restored, and it’s where I got my first taste of Peranakan architecture. More commonly referred to as ‘Chinese baroque’, the design — now one of my favourites — actually displays European, Chinese and Malay influences. Wherever I went, the style I witnessed was that of a ‘shophouse’ or row house, comprising mainly two stories and connected to several other such structures to form a block. These varyingly hued buildings also feature a verandah-esque walkway on the ground level, which is often characterised by rows of louvered shutters. Another thing I grew to love about the city is that it can, and should, be explored on foot. 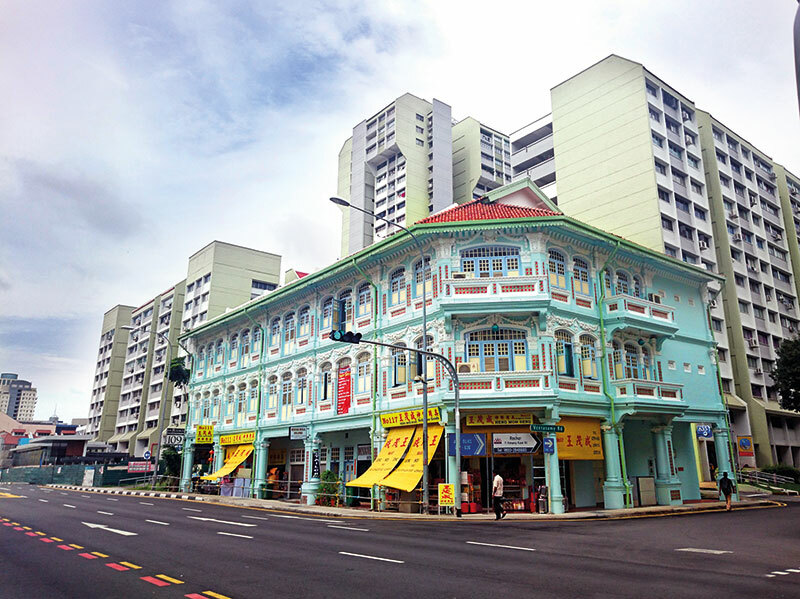 On a pleasant stroll around the area, I found myself slowly being enveloped by more and more vibrancy, until I was standing in front of what had to be the most colourful edifice I’d ever laid eyes on — the House of Tan Teng Niah, a major landmark and a testament to the melting pot that is Singapore. Built in 1900 by a Chinese businessman, the beautifully-maintained eight-room villa has won many esteemed awards and is one of the most photographed buildings in town. Obviously, I spent almost an hour capturing it from every angle imaginable and posing against its polychromatic walls. 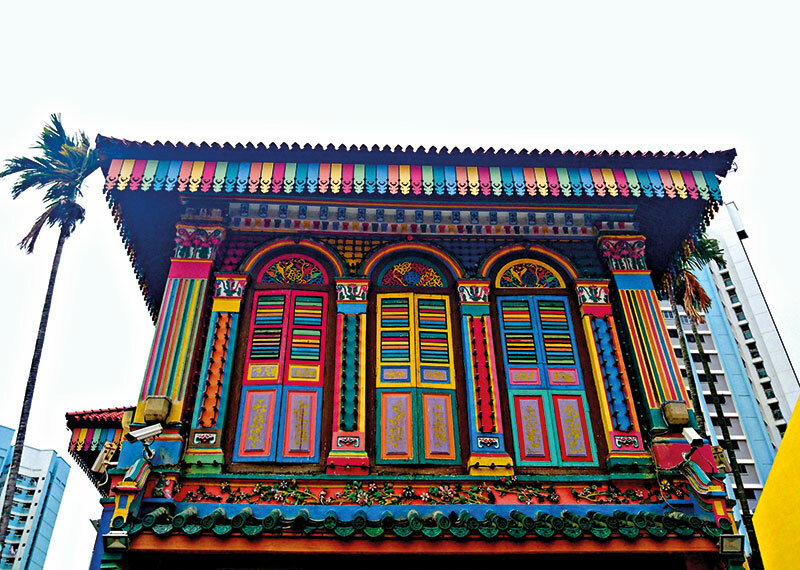 But what fascinated me beyond the jaw-dropping hues and the amalgam of Southern Chinese and European architectural styles was the fact that this is the oldest house in Little India, a 200-year-old neighbourhood! 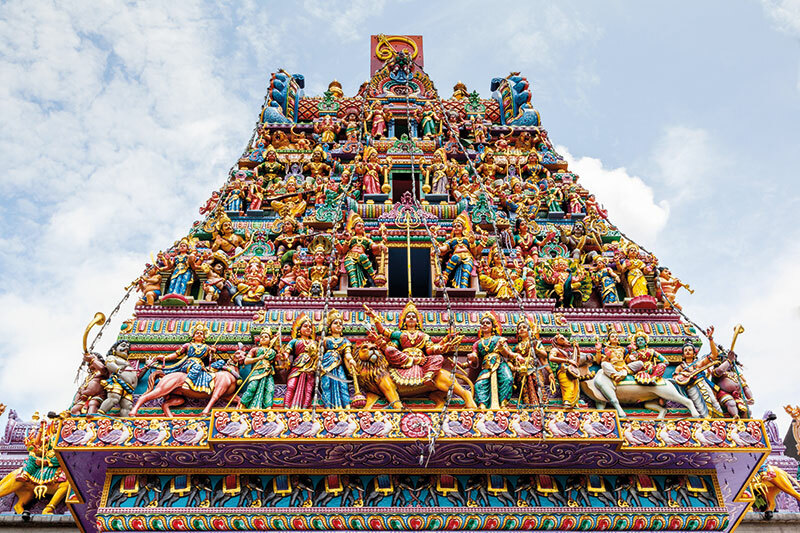 This buzzing district once had a racecourse, cattle herders and brick kilns, but now boasts wonderfully quirky shopping options, temples, mosques and churches, and the immensely popular Mustafa Centre, which is like a Pandora’s Box of everything from electronics and decor to food and beauty. I was lucky enough to be there during Diwali — the lights and decorations were indescribable. 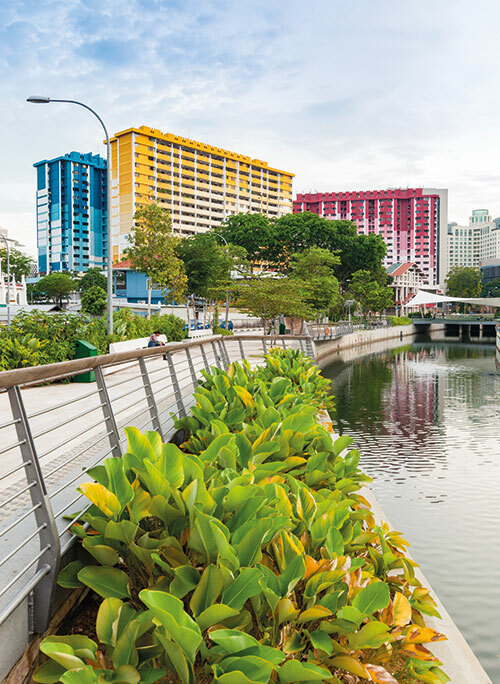 What’s more, the National Heritage Board (NHB) launched the first official trail for this neighbourhood, just a few weeks ago. Continuing the multi-sensory experience, I entered a little boutique getaway called Hôtel Vagabond, attracted by bright-red shutters on a grey 1950s Art Deco building. It was like walking into Aladdin’s cave. If you’re a design lover or looking to be introduced to Singapore’s underground art and music scene, this is where you should go. It’s also become a foodie favourite, for unusual cocktails and the new ‘hot buns and thunder balls’ menu, which must be experienced and not explained. The next day, my offbeat itinerary took me on an exciting visit to an indie cinema called The Projector, which includes two halls, and the fifth floor foyer of the historic Golden Theatre, Singapore’s biggest movie theatre in the ’70s. 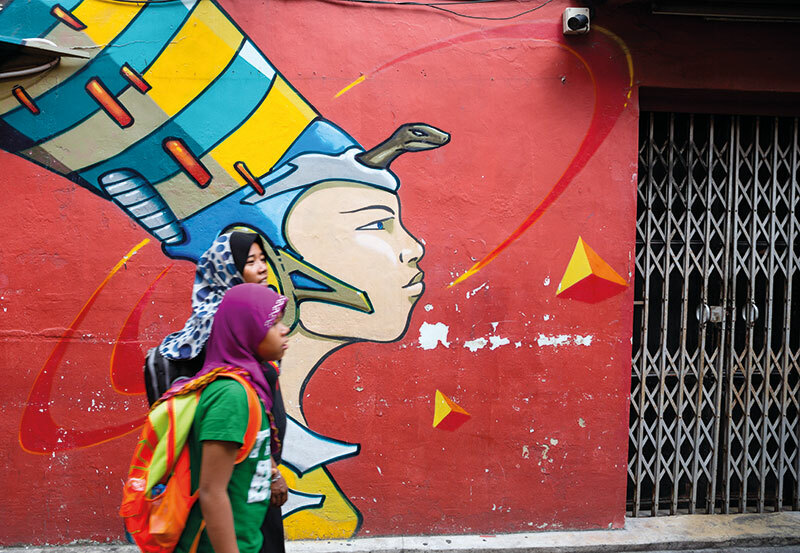 The charming retro vibe is enhanced by graffiti and wall murals, and a clandestine passageway to the car park-slash-terrace area introduces you to a garage-like cafe where some of the coolest after-parties carry on into the night. I couldn’t think of a better way to spend time after watching a film from my spot on a large beanbag than to be served a drink from a Volkswagen van that doubles as the outdoor bar! 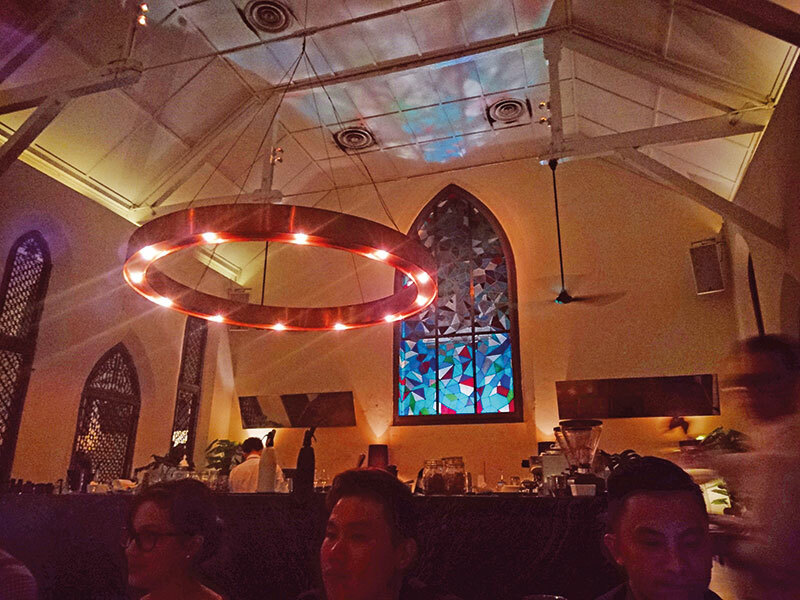 Speaking of unconventional eateries, my meal at The White Rabbit in the glitzy locale of Dempsey Hill left me enthralled, mainly because it’s hard to not be awestruck when you’re dining in a restored 1930s Ebenezer chapel. The endearing restaurant features high beams and stained glass windows that have been attentively maintained; the mood lighting, incredible acoustics and subtle references to Alice in Wonderland make it one of the most romantic places to eat. Outside, a ‘secret’ green tunnel lit by fairy lights takes you to the open-air bar called The Rabbit Hole, which can only be described as magical. As the sun sets, a different energy envelops Singapore as everyone comes out to play. 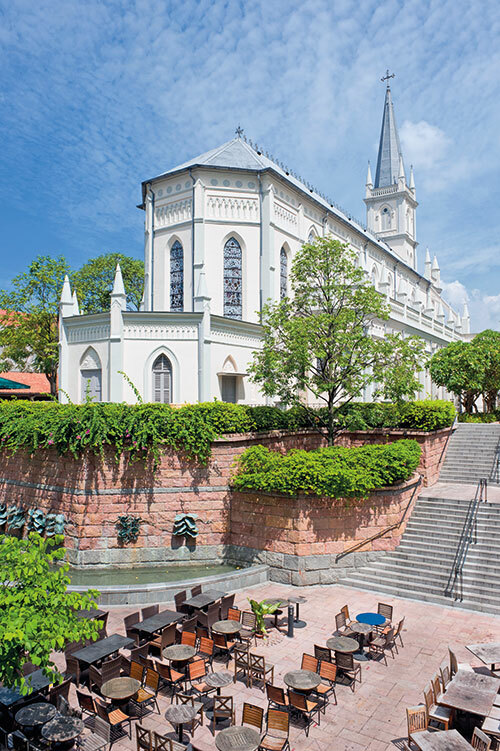 Not far from Dempsey is CHIJMES — a historic building complex that is impossible to miss. Once the Convent of the Holy Infant Jesus (CHIJ), it houses two gazetted national monuments, namely the CHIJ Chapel and Caldwell House. What is it used for now I wonder, as I walk in, past the ornate white archways. Unbridled revelry! The heritage development is one of the most popular nightlife spots, offering a plethora of high-end restaurants, swanky bars and hip cafes. Clearly, this city has taught me to never judge a chapel by its facade. I discovered the next day that this lesson also applies to educational haunts, when I ventured into The Library at Keong Saik Road. A dimly-lit room with a battered desk and a few knick-knacks welcomes me, albeit with some confusion. That is until I give the friendly attendant the password. A concealed door is pushed open behind me and I find myself in a mirrored room with red lighting. I busy myself taking a couple of pictures before another door in front of me opens and I stumble out, and into — you guessed it — a bar. Cosy and energetic, this speakeasy is delightfully creative with its food and drinks, the library theme seeps into the fun presentation, and the music is a wonderful mix of jazz, blues and grime. The perfect place to meet new and interesting people, it gave me a night to remember. 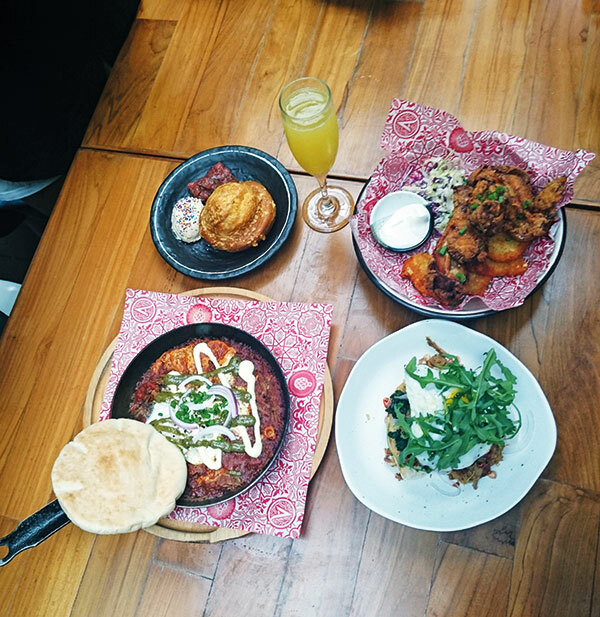 After a whirlwind time in a city that I had previously viewed in a completely prosaic light, I began my last day there with a leisurely brunch at Artichoke — where the cuisine is described as ‘deviant Middle Eastern’. Chef-owner Bjorn Shen is notorious for his rebellious personality and outlandish style of cooking. After a long night, a little ‘hair of the dog’ is welcome and a scrumptious Bellini does the trick, accompanied by some of the best chicken, eggs and Turkish toast in town. I’m not surprised to learn that Chef Shen one day hopes to undertake a PhD in fried chicken! Later, I find myself reflecting on an unexpectedly eventful trip while sipping on coffee at Chye Seng Huat Hardware. 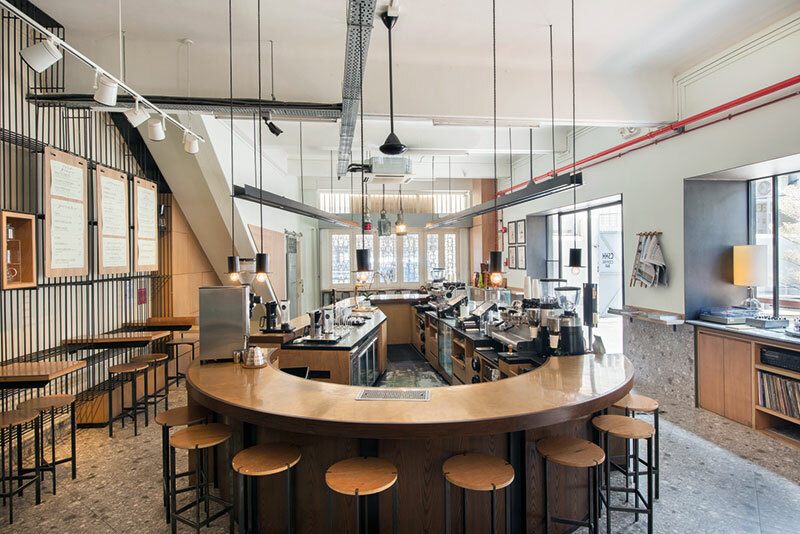 Like the name leads you to believe, the outside gives an appearance of an actual hardware store, but once inside, the cafe offers delicious options for light bites, desserts and drinks. As I walk out with a bag of coffee beans from their quaint store located at the back, I make a mental note that this is the Singapore I want to return to.